My Family just recently took a long, much needed vacation to the beautiful shores of Florida. It was such an incredible experience for me, as I've never even seen the beach before. I'm six and a half years old now, so it was always something I wanted to experience with Mommy. See, I was born and raised in the Appalachian Mountains of Virginia. I love the mountains and beautiful seasons that I experience here, but I've always wanted to see the ocean. Mommy grew up on the eastern shore, and she often told me stories about the beautiful beaches; describing the ocean, the waves, the wildlife and the wonderful experiences she had there. It has made me long to go for years. Once we set a plan into motion and started preparing for our 10 day excursion, Mommy and I were so excited we could hardly contain ourselves. 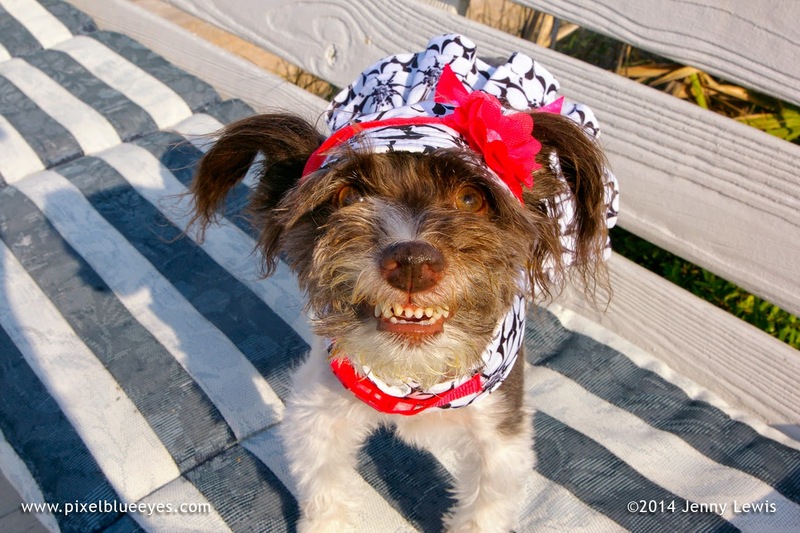 I've only long distance traveled once in my life, and that was to the 2013 BlogPaws convention last year. That was 4 days and 3 nights, but this beach trip was going to be 10 days, which might as well have meant we were moving there. At least when it came to my travel needs. I double and triple checked Mommy's packing skills when it came to my stuff, and we both packed WAY more than we ever needed. But our philosophy is simple: better to pack too much and not need it than not pack enough and be left without what you need. 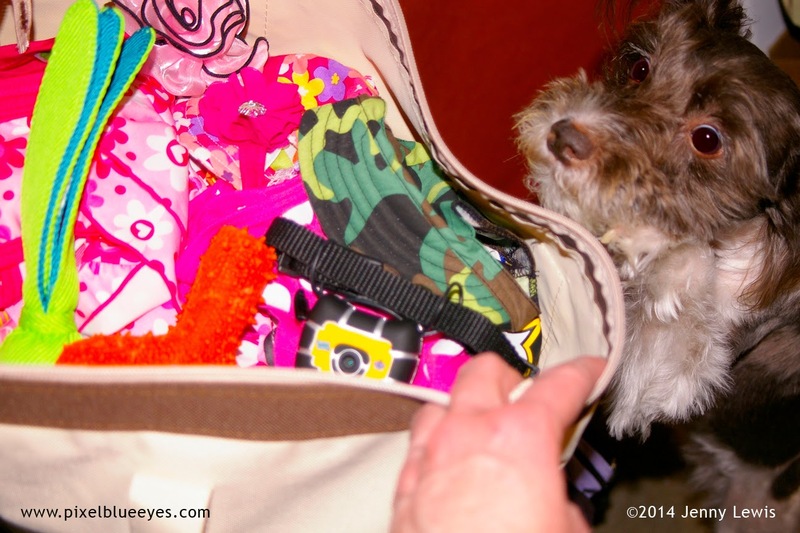 Thus, Mommy and I packed at least 2-5 times as much outfits and toys than we ended up using. Anyone else pack like that? After making enough food to feed a large iditerod team of dogs and people, and after packing 3/4 of the house into Grampy's van, we were off. It was a long drive so we split it up into two days. 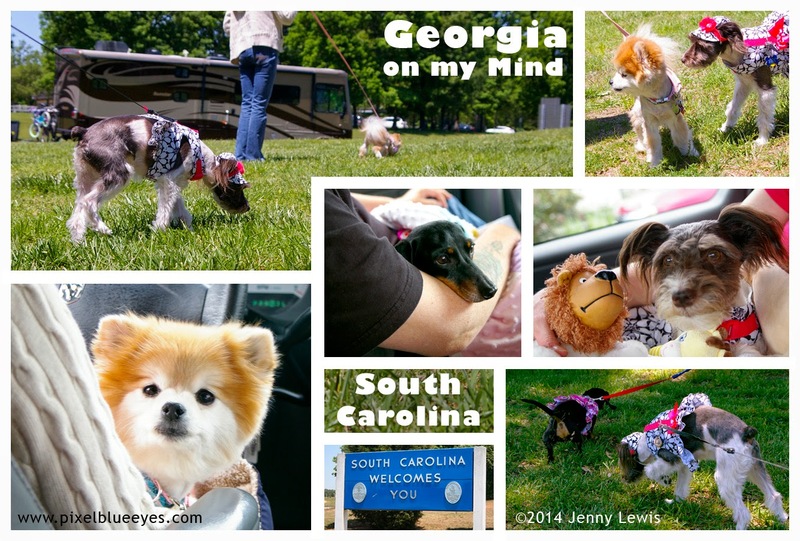 We stayed at a FANTASTIC Pet Friendly hotel in South Carolina that really made us feel welcome and comfortable. I will be doing a full review of the Residence Inn Marriott in a later post. Once on the road, me and my sisters informed the family that we would be doing spot checks of every single rest stop and gas station from Virginia to the beaches of Florida. Thus, we only had to stop about 35 times times per day, meaning that our 5 hour first day's travel turned into 8+ hours. We found nice rest stops all along the way that had real nice pet walking areas that even included supplies for picking up any 'messes' you made. In our defense, traveling with three little girl dogs, and a van full of people with differing "break" schedules, requires frequent stops...especially when you're doing surprise inspections.We didn't mind all the stops though. We were together and that was all that mattered. So do you want to know what happened next? Stay tuned for more posts detailing my amazing beach trip! Wait until you see all the photos...you're going to love it! We look forward to reading all about it Pixel and no worries she packs half the house and stops for this and that is never ending on our road trips. Have a wonderful Wednesday. Oh, Oh, OH...I love road trips! And you came down my way (well kinda...I'm in South Florida but no matter). I cannot wait to hear all about your Florida Beach trip!